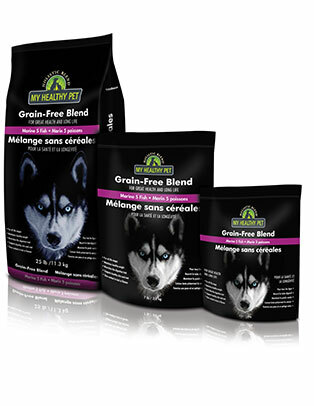 Holistic Blend Grain-Free Marine 5 Fish All Life Stages Dry Dog Food is slow cooked at a low temperature to retain all of the nutritional benefits and taste your canine companion craves. This delicious formula is made with fresh pacific cod, sole, flounder and wild salmon and contains no rendered meats, artificial flavors or colors. Wholesome fruits and veggies plus vitamins and minerals round out the recipe to help nourish your pet’s digestive tract and support healthy skin and a shiny coat.